Sometimes it feels as though nobody's reading the blog. No matter the occasional click-tracker upticks, the positive Blogspot stats, or meager ad revenue (did I mention meager? ), the big fat 'zero' in the comments section stings when on the brain of an online writer. But every once in while, out of the blue, an email arrives from a reader acknowledging your work, and these moments of reassurance** keep you typing. 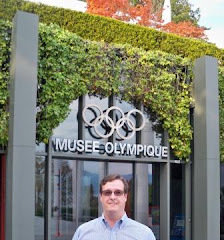 One such email arrived earlier this year from Jason Vuic, an author and historian with a new nonfiction book titled "The Sarajevo Olympics - A History of the 1984 Winter Games" published by University of Massachusetts Press. What a great read! For context, before reading Vuic's text my knowledge of the Sarajevo Olympics was decent but filled with holes. 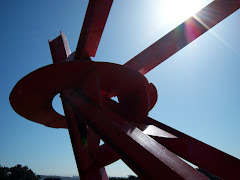 When they lit the Olympic cauldron in Yugoslavia, for instance, I was watching the ceremony on a massive box TV at my childhood home in Edmond, Okla., with Jim McCay and other ABC Sports commentators as the viewer guides. Games memories from that fifth-grade winter also include a screen filled with perfect 6.0 scores for figure skaters, a terrible hockey program from Team USA, bobsled crashes and a decent ski run or two for American downhill athletes. That was also the winter Games during which the cartoon 'Animalympics' aired on cable, viewed twice at a neighbor's living room. 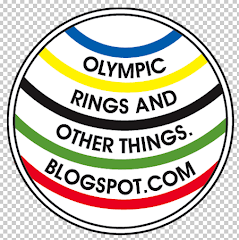 But most of the proper nouns from Sarajevo's Olympics did not stick with me. And in spite of reading Peter Ueberroth's book about producing the Los Angeles Olympics months later (in which some references to Yugoslavia travel appear), I never gave much thought to how the Sarajevo Games became a reality, nor what challenges blocked the organizer's road to success. Vuic's book perfectly filled in the blanks and then some. 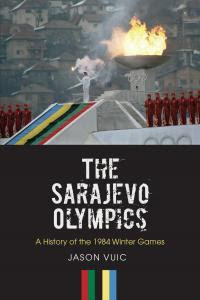 Readers of "The Sarajevo Olympics" will find a narrative in two main parts: Background/Organization and Games-Time Details. I appreciated the one-page izgovor vodič (pronunciation guide) to help with accents from the written Bosnian/Croatian/Serbian language, and in the acknowledgements Vuic notes the book project enjoyed support in the form of a grant from the Olympic Studies Centre in Lausanne, Switzerland (hometown for the International Olympic Committee). Vuic's Games-related labor of love began in 2010. 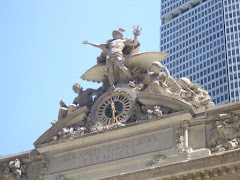 In his words via his first email to me, "I'm a Yugoslav historian by training, but traveled to Lausanne on an IOC fellowship in 2010 and visited libraries and museums in Los Angeles, Lake Placid and Sarajevo to research the book. 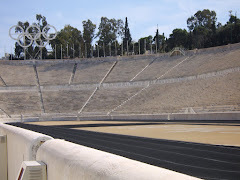 Needless to say, I have become, in the process, an Olympic nut." Welcome to the club, Jason. 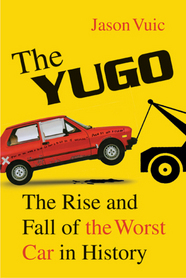 I learned Vuic's initial published text was "The Yugo -- The Rise and Fall of the Worst Car in History" which is now in queue on my library reserves list. If this first book is similar to "The Sarajevo Olympics," it is bound to be filled with interesting details and quirky back stories from a blend of news articles, official reports, broadcast archives and interviews with the people who lived the history. 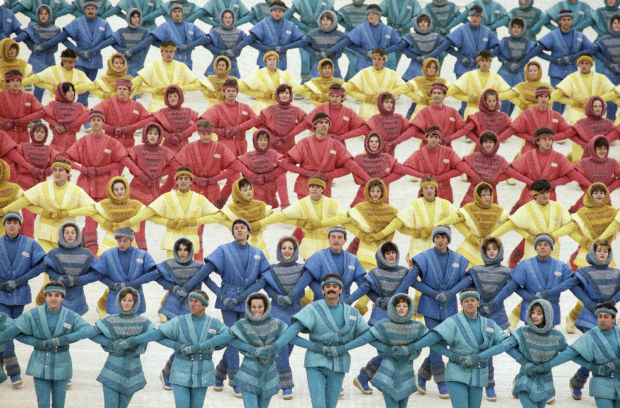 I enjoyed learning about the Yugoslav personalities who pursued the Winter Games hosting enterprise as early as the 1960s when their government started investing in tourism. Taking inspiration from a 1968 tourism study in which Olympic possibilities were mentioned, in 1971 a professor named Ljubiša Zečević visited Lausanne with many questions and ideas. In the years just after this visit Zečević reported back cautious optimism for pursuing the Games given many issues faced by the region around Sarajevo (notably, lack of big sport event hosting experience and, for some residents, lack of plumbing). Vuic mentions one lighthearted message from Zečević: "Go ahead and submit the bid, but pray to God we [don't] get it!" By 1977 a formal bid team known as the "Preparation Committee" took shape, As word spread of the Sarajevo bid, some American reporters opined, describing the city as Eastern Europe's answer to Fort Wayne, Indiana, "The Pittsburgh of Yugoslavia" and as scenic as Harrisburg, Pa. Vuic continues to detail how a unique blend of people, politicking and strokes of great timing a luck aligned just in time for the May 1978 IOC host voting which placed Sapporo, Japan, and Gothenburg, Sweden, behind victorious Sarajevo. In other background and organization chapters, Vuic details the organizing committee's "vast" needs in the wake of the winning bid: They needed, among many things, a skating rink, a bobsleigh run, Olympic villages (one for athletes, another to house world media) and more hotels. Green things (U.S. currency) and how the committee earned funding proved to be another complicated and heavy matter. 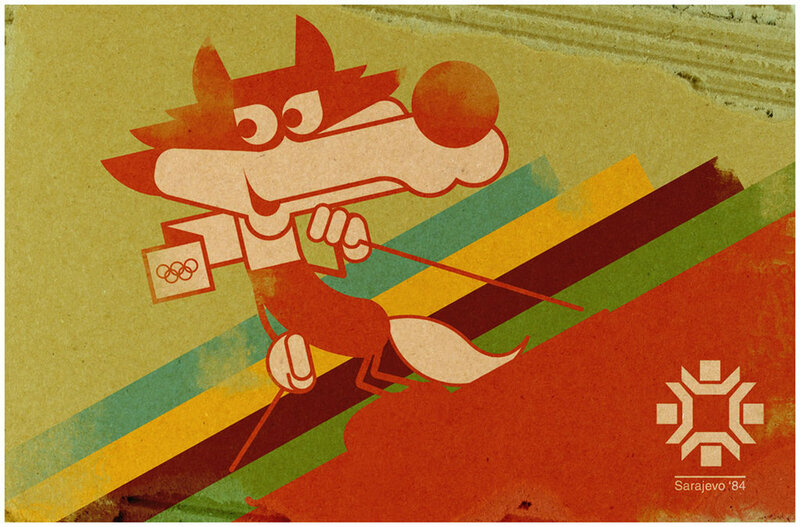 On the lighter side, I learned the Sarajevo mascot, a wolf named Vučko, got more votes than a weasel or a lamb. And I learned more about the pre-Games test events, some slushy other blizzard-blown, that reinforced skepticism for a successful 1984 gathering. 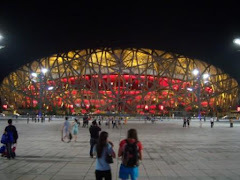 It fascinated me to find that more than 3,000 workers from "Communist Youth Brigades" volunteered in venue construction. One photo in "The Sarajevo Olympics" shows four teenage women sans shoes and hard hats at work breaking ground on some unidentified venue. Vuic's book also filled in the blanks for me on the athlete stories from Sarajevo. I enjoyed reading of the perfect-scoring ice dancers Jayne Torvill and Christopher Dean (a fan letter from the USA to IOC President Juan Antonio Samaranch provided a great intro to this section about the duo who scored perfect 6.0s to a song from the movie "10"), and more-familiar-to-me figure skaters Katerina Witt and Scott Hamilton. I didn't know a thing about "Wild" Bill Johnson (a.k.a. nasenbohrer), nor did I recall that ABC Sports engaged a popular singer named Henry John Deutschendorf, Jr. (a.k.a. 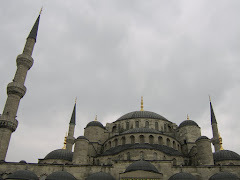 John Denver) to provide commentary and a theme song for their Sarajevo broadcasts (see it to believe it on the video at the base of this post). 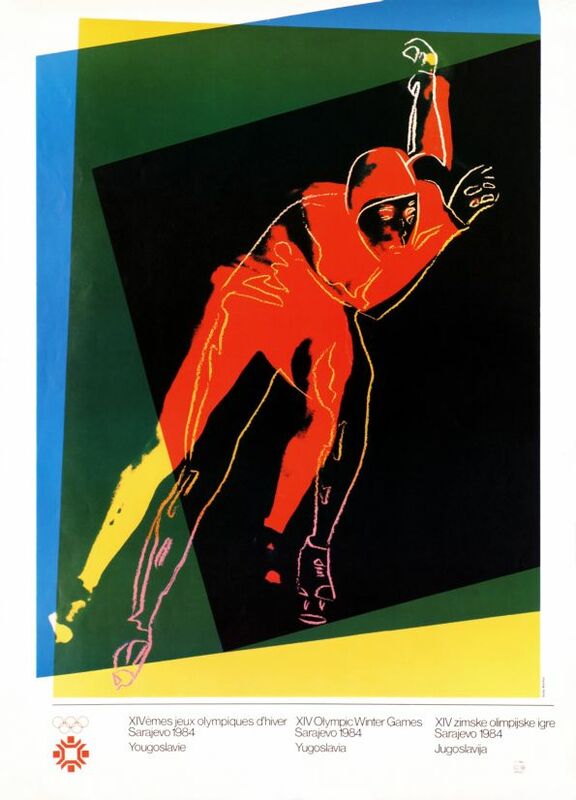 There's also some great notes about "the agony of defeat" ski jump athlete Vinko Bogotaj and his connection to Sarajevo. It was fun to learn of hometown hero Jure Franko's downhill race, and to find that the original goals of inspiring regional tourism were achieved, if only for one season, before Sarajevo became a geographic center point for the breakup of Yugoslavia. Vuic shares other post-Games history including notes from Samaranch's proclamation and visit during the 1994 Lillehammer Winter Olympics, and how several '84 venues became battle scenes during the war of the early 1990s. Vuic is now working on an NFL-topical book titled "The Yucks" regarding the early history of the Tampa Bay Buccaneers. Here's hoping he'll return to Olympic writing through future projects as "The Sarajevo Olympics" is a fun and informative read, and it would be great to see more five-ringed titles from this author. Photos via this link, this Herald Review link, this gallery and from Jason Vuic's website. topping 125,000 clicks as of spring 2015. Thanks for reading! I'm so happy to have found you! My best friend, her husband and children came here in 1995 as refugees and she was a dancer in the opening ceremonies. She has only one photograph of herself taken during a dress rehearsal, and thus far no searches by in-country friends or family have turned up more. She will so appreciate reading this!